GOP gubernatorial candidates are slowly making their way to the starting line in Idaho, where the nation’s longest current serving governor – Republican Butch Otter – is retiring at the end of 2018. Reports came out this week that Boise businessman and former physician Tommy Ahlquist will file candidacy papers for the office. It remains to be seen whether successful, wealthy members of the business community like Ahlquist can capitalize next year on the trail blazed by Donald Trump during his outsider 2016 campaign. Two high profile Republicans have already jumped into the race in Idaho where the winner of the GOP primary is a virtual lock to win the seat in the deep red state. Lieutenant Governor Brad Little is the current establishment favorite with former State Senator Russ Fulcher running again after nearly capturing his party’s nomination in 2014 – losing to Governor Otter by just 7.8 points. The wealthy Ahlquist has never held political office and would therefore appear to trump Fulcher as the true anti-establishment candidate in the 2018 GOP contest. To be sure, Ahlquist’s resume is quite different than that of Otter, who has served as the state’s chief executive for the last 10+ years. Otter was elected governor after recording a long history of service in elected office in the Idaho House (1972-1976), as lieutenant governor (1987-2001), and U.S. Representative (2001-2007). In fact, should he succeed in his 2018 bid, Ahlquist would be the first Idaho governor never to previously hold elected office in more than 100 years, and the first to either never hold public office or serve in a party leadership position. Of the 30 men to govern Idaho since statehood, all but two were previously elected to public office: Republicans John Morrison (1903-1905) and James Brady (1909-1911). However, both of these governors were heavily involved in state party politics prior to winning their respective gubernatorial races. Morrison ran for the state legislature in 1896 and was defeated, but then became chair of the Idaho Republican Central Committee from 1897 to 1900. He subsequently won the 1902 gubernatorial election. Brady was a delegate to the Republican National Convention in 1900 and 1908 and chair of the Idaho Republican Central Committee in 1904 and 1908 before winning the gubernatorial election in November 1908. Nine served as lieutenant governor: N.B. Willey, Charles Moore, H.C. Baldridge, Charles Gossett, Arnold Williams, John Evans, Phil Batt, Jim Risch, and Butch Otter. [Willey, Williams, and Risch were never elected to the governorship]. 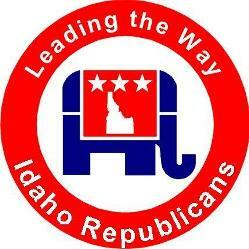 11 served in the Idaho Senate: Frank Gooding, D.W. Davis, Baldridge, Chase Clark, C.A. Robbins, Len Jordan, Don Samuelson, Cecil Andrus, Evans, Blatt, and Jim Risch. In addition, McConnell served in the Oregon State Senate. 10 served in the Idaho House: Frank Steunenberg, Frank Hunt, Moore, Baldridge, C.A. Bottolfsen, Clark, Gossett, Williams, Batt, and Otter. One lingering question to examine as the 2018 campaign ramps up is whether or not there is a strong appetite for a political outsider to run the State of Idaho. Idaho ended 2016 under the leadership of Governor Otter with an unemployment rate of just 3.6 percent – the 11th lowest rate in the nation behind New Hampshire (2.7 percent), Hawaii (2.9 percent), South Dakota (2.9 percent), Colorado (3.0 percent), North Dakota (3.0 percent), Massachusetts (3.1 percent), Utah (3.2 percent), Vermont (3.2 percent), Nebraska (3.3 percent), and Iowa (3.5 percent). Ahlquist has not yet officially entered the race, so his views on several policy positions are not yet laid out, but it would surprising if he did not frame them by proudly wielding his outsider, businessman credentials to distinguish himself from his office-holding counterparts during the campaign. It could be a recipe for success. Presuming, of course, that Donald Trump maintains a reasonably high approval rating among Republican voters. 1 Comment on "Ahlquist Could Become 1st Political Outsider to Win Idaho Governorship"
2. On the other hand, gubernatorial elections DO NOT have Electoral College balloting, meaning Ahlquist (or anyone else) must win the popular vote, something trump was not required to succeed in.